At Content Marketing World 2018, we reunited with Joe Pulizzi, we were inspired to buy a mystery box and we worried for a second that the building might burn down. Despite the exciting moments and communal inside jokes, we learned A TON. 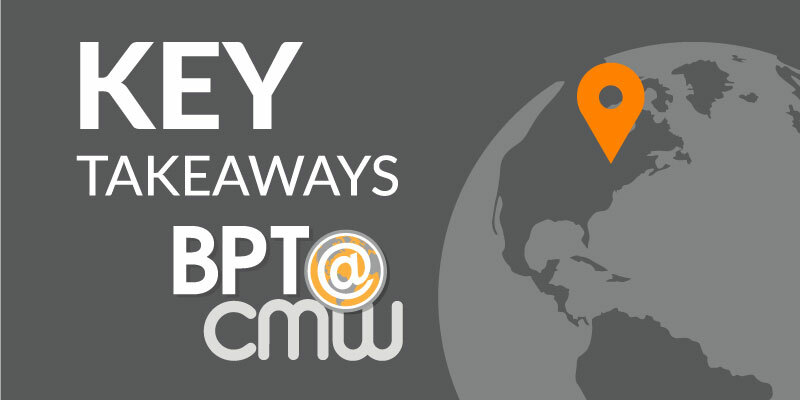 With 10+ sessions to choose from on each breakout track, CMWorld feels like a Choose Your Own Adventure book. You can create your own experiences and everyone walks away with different ideas and impressions. So, here are the key trends and takeaways I identified from the biggest content marketing event of the year. Typically, when many marketers hear the term “influencer marketing,” we imagine a sponsored post on a popular Instagram or Facebook account. But influencer marketing can go much deeper than this – and it can work for B2B brands, too. Repeatedly, speakers emphasized that we should collaborate and build relationships with others in our industries. For example, Andy Crestodina of Orbit Media Studios gave examples of lead generating content. He explained the power of original research and how it becomes more interesting and more credible when you recruit industry experts to comment on it. Andy said, “An ally in creation is an ally in promotion.” If an industry expert is part of your research, they will be more likely to promote it to their networks, so your research extends to new audiences. “An ally in creation is an ally in promotion” – @crestodina at #CMworld on the importance of influencer outreach and inclusion in your content marketing. Similarly, in an entertaining lunch and learn session on webinars Mark Bornstein, VP of Content Marketing at ON24, made the point that webinars should feel less like a presentation and more like a conversation. Aim for a talk show vibe in your webinar to showcase the personalities and expertise of your subjects and brand one of your employees as the host. You can also make webinars more immersive by including polls or using a Q&A method. Mark said that it can be scary to go into a webinar without a script and rely only on the subjects’ conversations and the audience’s questions, but these types of webinars tend to see the most engagement. Jonathan Kranz of Kranz Communication also said in his session (which arguably has the best title at CMWorld: “Nightmare Marketing: How to Create Content for the Boring, Complex, and Undifferentiated Stuff That Scares the S@#t out of Everybody Else”) that interviews from expert sources give you many content opportunities. After the interview is conducted, you can use the information to shape content in any way you wish, while maintaining the authenticity of the person’s voice. Use this information to break down complex messaging, share a case study, or build credibility for your brand by interviewing sources that your audience might already trust. By 2020, customers will manage 85 percent of their relationship with the enterprise without interacting with a human. Though content marketing can’t take the place of a salesperson, this stat proves the importance of developing effective digital content for communicating with prospects. Though Andy’s session was not focused on marketing/sales alignment, he noted that we should “never waste a good conversation by having it in private.” If a salesperson has an excellent conversation or is introduced to new questions, marketing can leverage this information. Turn it into content that will help and educate other prospects – even before they speak with a salesperson. Bernie Borges and Viveka von Rosen of Vengreso outlined three LinkedIn strategies to drive visibility, credibility and traffic. Social selling gives sales teams the opportunity to expand their networks, but it may be up to your marketing team to lead the way and support sales with training efforts. I love the idea that Bernie and Viveka suggested of using vaulted content. Using a password protected site or platform that’s only accessible by the sales team, you can store content for them to use in conversation with qualified leads. This may include detailed case studies or in-depth eBooks and helpful guides. By organizing this content in one place, it’ll be easier for sales to find content that is most relevant to that prospect. Pam Didner, author of Effective Sales Enablement, suggested that marketing can even become infused in the sales onboarding and training process. This could include sessions on how to consistently talk about a product or service, how to use content in sales conversations and tips for social selling. Establishing the sales/marketing alignment from the get-go opens the door for better and sustainable collaboration into the future. We know that content marketing enables your sales team and can build business – there were numerous sessions on measuring content ROI and tracking results. But sprinkled throughout the sessions I attended was an important conversation happening in our industry: How can we make content more meaningful? It felt serendipitous that the day after Nike’s new ad was released, Kathleen Diamantakis – Managing Director of Strategy for T Brand at The New York Times – took the stage to praise brands making bold statements and adding meaningful content to cultural conversations that matter. Kathleen stated that “pursuing meaning is the next frontier in content” and shared emotional examples (there were literal TEARS in the room!) of brands who told stories aimed at making a difference. She also made the distinction between happy content, which provides entertainment and pleasure, versus meaningful content, which provides inspiration to make a change. In the closing Q&A-style keynote with Tina Fey (yes—that Tina Fey!) she echoed Kathleen and Jay’s message. “We’re in a moment where brands are wanting to express true beliefs and people want to identify with that,” said Tina. “But I don’t know, I could be a sucker,” she humorously added. 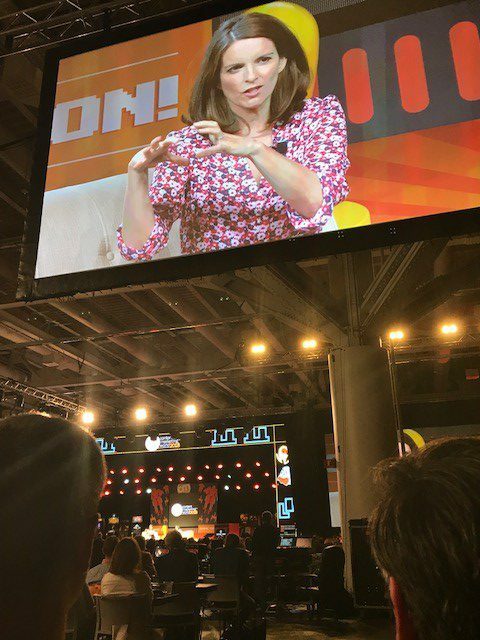 Tina Fey at Content Marketing World 2018. Photo by Brandpoint. It’s not surprising that there were several sessions at CMWorld on chatbots and AI. And there were plenty of vendors offering platforms and technology to increase the efficiency of our marketing teams. While Brandpoint has experienced the power of AI-powered technology to create better strategies for our clients, we’ve realized that it can be easy to get distracted by these new, shiny objects. Ann Handley’s keynote presentation brought everyone back to basics. I don’t think I’m alone when I say that I was surprised to see the opening slide of her presentation. Email marketing? Really, Ann?! But maybe that’s the response she was hoping for. In a survey of marketers, Ann said that “yes percent” of marketers still send emails – so, basically everyone. It’s a channel that we can’t ignore, especially when the email inbox is where people (not algorithms) are still in control. 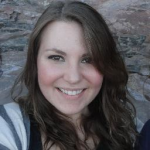 Her topic didn’t move me to the edge of my seat, but her presentation helped me remember the value – and the whole point of content marketing – is to connect with audiences on a personal level. She explained that in email newsletters, the letter is what we should focus on. She gave an example of Warren Buffett, who wrote his newsletters as if he were writing a letter to his sister, Doris. If we write an email newsletter personalized for one person, it will help us write in a more personal way that feels like a face-to-face conversation. This is something that Ann (who, by the way, became the first-ever inductee to the Content Marketing Hall of Fame) absolutely excels at in her newsletter, Total Annarchy. So, who is your Doris? How can you make your emails, and all your content, more personal, meaningful and genuine? And how can you ensure that your team doesn’t get distracted by the latest and greatest technology so that you can keep delivering useful, quality content?